A joint report by SEPnet and WRIPA (White Rose Industrial Physics Academy) highlights the challenges for improving physics graduate employability in the current climate and offers some solutions. • Universities need to align graduate skills and knowledge with regional innovation and opportunities. A celebration and reflection on the 10 years of Outreach and Public Engagement at SEPnet. Throughout the past 10 years, SEPnet has strived to position itself at the forefront of STEM engagement with schools and has more recently begun to start embedding a culture of public engagement with research across the partner universities. 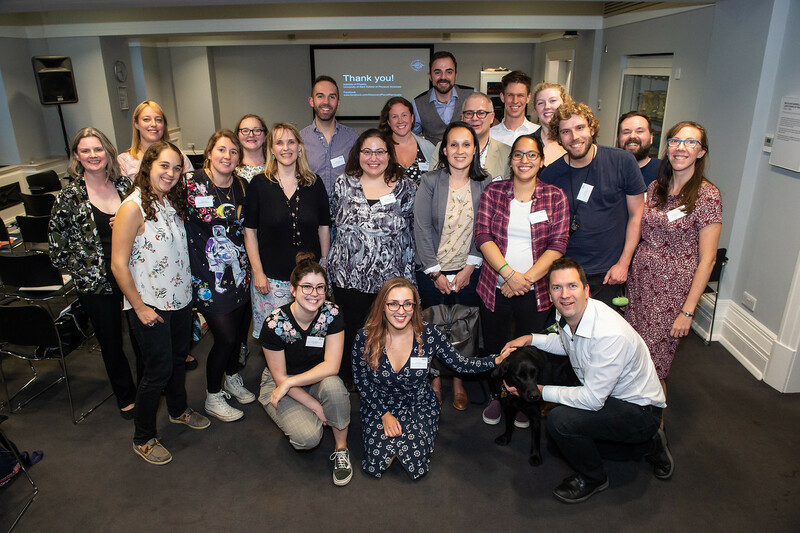 The symposium highlighted the vast array of initiatives that SEPnet has been involved with since its inception with a session from previous SEPnet Directors of Outreach, Charlotte Thorley and Clare Harvey who contemplated the changes they witnessed over the years. The symposium continued with a talk from Dom Galliano, SEPnet Director of Outreach, about the future of SEPnet schools’ outreach and public engagement with the launch of the new 2018-2023 strategy. Schools’ outreach will continue to deliver SEPnet’s key messages with the aim of building and maintaining student’s science capital. SEPnet will continue to encourage projects which involve multiple engagements with strategically selected students across the region, helping build longer term partnerships with teachers and schools through activities such as Connect Physics. Public engagement across SEPnet will now be focused into three themes: local community, research in schools, and consultancy. The symposium saw example projects within SEPnet from these three themes share the good practice and learning that have resulted from their projects. Martin Archer of Queen Mary University of London discussed his Research in Schools programme which has seen school students across London taking part in research projects and impacting upon students, teachers, and researchers. Vicky Mason, Xanthe Pitt and Nikki Hildesley from the University of Kent and Discovery Planet reviewed the past 4 years of collaboration to bring science activities to underserved audiences in their local community. Nic Bonne and Coleman Krawczyk from the University of Portsmouth shared the exciting new developments that will be taking place within their Tactile Universe project which engages the visually impaired with astronomy research. In addition to the talk, there was a poster exhibition from all SEPnet partners, highlighting the successes and achievements SEPnet projects have brought across the region. External partners such as STFC, IOP and RAS were also present and contributed with posters and stands. Many thanks to all of those that attended and to the Wellcome Collection for being wonderful hosts. All the presentations from the day can be found here. University of Portsmouth Institute of Cosmology & Gravitation (ICG) is hosting a Diversity in Physics workshop on behalf of the South East Physics Network (SEPnet). As recent events have highlighted, unconscious and cultural biases continue to present challenges in addressing issues related to diversity in physics. This crucial problem affects the whole physics community – not just under-represented groups – and we need to engage all staff and students to help tackle this problem. The aim of this timely workshop is to share good practice on progression and career development for HE staff and students in physics. Presenters will provide an overview of progress to date highlighting the barriers and how to address them and will provide examples of successful initiatives. This event is aimed at all physics staff and PGRs and those responsible for diversity and inclusion including Project Juno and diversity champions, HR managers and academics. This position offers an exciting opportunity for a post-doctoral researcher to combine quantum sensing with electric vehicle battery technology. It is part of a collaboration between Queen Mary University of London, University of Sussex, and the companies INEX Microtechnology Ltd and CDO2 Ltd, and is funded by Innovate UK. Entry level postdoc candidates will be considered. Who: Postgraduate and postdoctoral researchers from the SEPnet region with research interests in this year’s conference topics. What: Two parallel research conferences proposed and organised by students wanting to advance their research and extend their collaborations. The conferences include talks by invited speakers and students as well as poster and recreational sessions. Where: University of Southampton, Murray Lecture Building, Highfield Campus. This conference aims to bring together students from all areas of astronomy research. From the study of inflation at Portsmouth to planetary science at the Open University, the GRADnet astronomy groups’ research probes many epochs of the Universe. Students will gain knowledge of a wide range of research techniques applied to phenomena at various redshifts, and see where such techniques may cross over and enhance their own research. Organisers: Elizabeth Swann, Steve Cunnington, Max Foxley-Marrable, Natalie Hogg, Sam Youles, University of Portsmouth. Abstract deadline 7 January 2019: Submit your abstract here. Once your abstract has been accepted you will be notified by the conference organiser to register for this conference. Once your abstract has been accepted please register here. Registration deadline: 1 March 2019. This event is free (SEPnet pays for your accommodation and course fees) for SEPnet postgraduate researchers and travel expenses incurred can be claimed from your Physics Department. Since the discovery of the Higgs boson, there have been no further discoveries at colliders that hint at new physics. This conference will bring together students from experimental and theoretical topics in particle physics to discuss the progression of the field in light of current results. There will be review talks by distinguished academics on the history of the Standard Model and its successes and advice on how to interpret various current and future experimental results. There will be a particular focus on the interplay between theory and experiment and the promotion of interdisciplinary collaboration. Organisers: James Richings, Azaria Coupe, Sam Rowley, University of Southampton. Submit your abstract here. Abstract deadline 7 January 2019. Once your abstract has been accepted you will be notified by the conference organiser to register for this conference. Once your abstract has been accepted register here. Registration deadline: 1 March 2019.
Who: 1st Year SEPnet Physics PhD students. All SEPnet departments expect all new students to attend. Where: 1 Park Crescent, International Students House, 229 Great Portland Street, London, W1W 5PN. What: A one day introduction to GRADnet to learn more about opportunities, to meet fellow researchers from across the network and to participate in two out of four short workshops designed to get you started in key areas of activity. Students are to sign up for two workshops on arrival and attend one in the morning and one in the afternoon. Getting your research published: This workshop will explain the steps necessary to take the results of your research through to a published paper. Led by “insiders” from IOP Publishing, it will explain what makes a good paper and why some authors succeed while others do not. Python: Python is a powerful, high-level scripting language that is widely used in scientific research for a huge range of data analysis and visualisation applications. In this workshop you will learn how to use Python, starting from basic scripts to explore syntax and data types, working up to more complicated ‘real world’ examples. Research Data Management: Research data management is increasingly important in all fields of research. Presented by Research Council and University experts, this workshop asks what is required for good data management and examines some of the common problems and issues that researchers face. Science Communication Skills: Want to explore ways of sharing your research with many different audiences? It is now more important than ever to be able to communicate with non-specialist groups. Whether it’s a public talk in a pub, writing in your department blog, doing some stand-up comedy, writing a popular science article or simply standing on a box in a street corner, this session will get you started. As a future researcher you will be expected to engage with many different publics throughout the research process; science communication is an invaluable tool for this process. Outside research the ability to clearly communicate technical details to all sorts of partners will be an asset on any CV. Numbers: This event is mandatory at all SEPnet partner departments for new PGRs. Circa 100 students are expected to attend. Students are to sign up for two workshops on arrival and attend one in the morning and one in the afternoon. Travel expenses are covered by your department. Transport to the venue can be arranged through your local GRADnet Administrator if there are sufficient numbers. Register here. Registration deadline is 17 October 2018.
Who: 2nd Year SEPnet Physics PhD students. This event is strongly recommended by all SEPnet partner Departments. 3rd and 4th year postgraduate researchers and postdoctoral researchers are also welcome to attend. Where: One Park Crescent (ISH), 229 Great Portland Street, London, W1W 5PN. What: A one-day training session, an opportunity to meet fellow researchers from across the network and to participate in two out of four short workshops designed to get you started in key areas of activity. How to write a successful Fellowship Application: This workshop is aimed at those students who are considering an academic career. Most often this starts with a period of postdoctoral study during which the researcher is supported by a Fellowship. The workshop focusses on what is required to prepare a successful research council or similar fellowship application. Practical innovation: Thinking about how to commercialise your research, or an idea, and turn it into an exploitable product or service? Perhaps you are interested in a career in business or knowing how businesses are created. Would you like to start thinking like an entrepreneur, or as someone that wants to change the world through innovation? Understanding software for research: This workshop introduces computing concepts necessary to support your research. You can find out more about the types of national computing facilities available and the programming languages used to produce quality research. The workshop offers a general understanding of computing with an introduction to parallel computing along with practical tools and techniques that will help you write and maintain better code more efficiently. For full programme see here. Register here. Registration deadline 10 October 2018.